Limiting The Financial Burden After an Accident. Home / Blog / Limiting The Financial Burden After an Accident. Accidents, and more specifically car accidents are bound to happen ever so often. This is due to the sheer high number of cars on the roads, as well as the often risky nature of most highways. If and when accidents occur, they bring along several problems. These include injuries, deaths, destruction of the cars, and financial losses. Reducing The Financial Burden After a Car Accident. While accidents can and surely will happen and are somewhat unavoidable, what you should absolutely try and avoid is being the one to bear the financial burden of nursing yourself back to health, as well as replacing any asset damaged in the accident. I.e Your car. Most especially if you were not the cause of the accident. You should also preferably not have to suffer not being able to do things like pay your rent, settle your children’s school fees, buy food and more, as a lack of being unable to work and earn an income, because of the injuries sustained in the accident. This is because the person who caused the accident, or the company they work for, if the accident happened using a property of the company, should be the one to bear these costs. One surefire way to get them to bear this cost and settle your claim, is by hiring a personal injury accident lawyer to help you file a claim, or sue them if need be. These form the gist of the subsequent conversations. 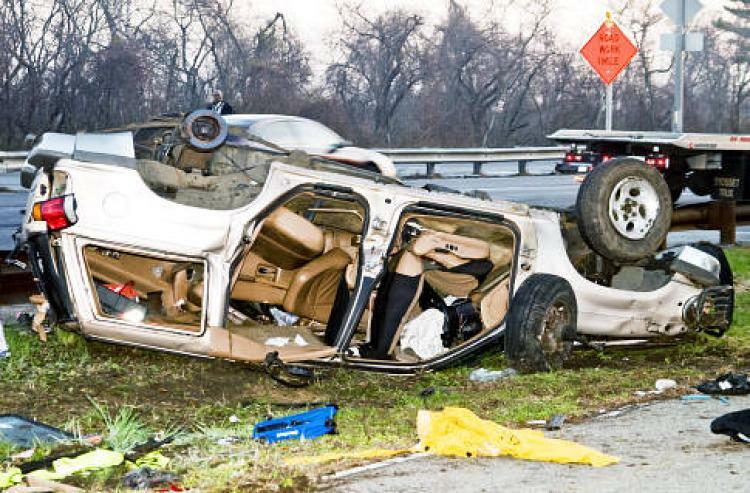 Such a lawyer will often hire a specialist to go to the accident scene and investigate it, as well as investigate any and all mitigating factors surrounding the accident. He or she will establish the extent of the accident, its nature and seriousness, as well as determine who, in their own opinion, and according to available facts or information available to them, arrive at a conclusion as to who was responsible for causing the accident. All this will allow the attorney advice on the best next course of action. Investigating the accident in and of itself is sometimes not enough. This is especially the case if the accident has to be litigated in a court of law. In light of this, the personal injury lawyer will usually have to photograph or capture the video of the accident scene and store it. This is to help in building a case, claiming compensation, or arguing a case in a relevant court of law, if it gets to that stage. In order to build a reasonable case in a court of law, expert witnesses have to be produced. The personal injury lawyer will also locate, train, and hire expert witnesses that may help build a strong case for their client. He will usually start with bystanders, people that may have been captured in a nearby CCTV camera footage (if any), and any other person who might have some knowledge or information about the case, or circumstances surrounding the case, and who would be willing to volunteer him or herself. Your insurance company, employer, and medical doctor are other potential witnesses. All vehicles are covered by at least one insurance policy. Almost all must be covered by third party insurance cover. Others will often be covered by second party or comprehensive insurance cover. All these different cover types will often have different policies stipulate the terms and conditions that must be met before any compensation can be paid out. Your personal injury lawyer will thus review the relevant insurance policy that applies to your car. He will then assess whether your unique circumstance qualifies for compensation or not. He will then proceed to formulate the appropriate subsequent course of action if he believes you qualify for cover. As soon as your attorney has ascertained whether you indeed qualify for compensation, he will proceed to communicate with the relevant insurance company. He or she might also negotiate for a partial compensation in case you had a role to play in the accident. Other than that, he might also want to enlist your insurance company in his legal team if the case has to be argued in a court of law. Other than the insurance policy, several other policies also come in handy at such times. These include medical insurance cover, employment contracts, taxation policies, and wages, among others. The personal injury lawyer will hence gather the medical records, information concerning the pending bills as well as lost wages information, among others. These too will help him chart the best path forward, especially regarding a settlement claim. In most cases, the personal injury lawyer will usually prefer an out-of-court settlement as opposed to litigation as the feasible way forward. This is due to the tedious, complicated, and time-consuming nature of legal proceedings. In light of this, he will first and foremost discuss with the other party, the prospect of settling for compensation. If the other party accepts, he will terminate the process at this stage. If however, the other party or insurance company refuses to settle for out-of-the-court compensation, your lawyer will be left with no choice but to initiate a litigation process. He will prepare a charge sheet and file a lawsuit. In this stage, he might call you to be a witness alongside other expert witnesses he identified earlier. This stage may require you to part with some money to cover the various legal expenses. Unless you agree on a “no win no fee” basis. Once the case has been received by the relevant court, the personal injury lawyer together with his legal team will litigate the case to its logical conclusion. The entire duration will vary depending on the complexity of the accident as well, the number of other cases the judge has in front of him or her, and other factors. As you can clearly see from the above, a personal injury lawyer is very important in your bid to receive the just compensation you deserve, after being involved in an a car accident. This is because this person will have the experience and legal expertise it requires to deal with the many parts that will be involved in getting compensation for any damages.